This week will mark the official release of Bybofunk’s album titled “Dream On.” We sat down for a short interview to get to know him better. What type of music do you produce and why? Bybofunk: It started when I was a kid listening to my dad's cassettes in the car with bands of the 80s era. For example, I remember knowing the duration of the rhythms, grooves and breakdowns. I loved listening to Barry White, head nodding and whipping to the beat. It was clear to me that one day I’d be making music by myself, as my entire family has always be fanatic about Jazz, Soul and Funk. When it comes to genres, I am rather open: not everything needs to have early 80s sound. I am really into New Jack Swing, so acts like Guy or Heavy D really inspired me. What stands behind the title of your debut album "Dream On"? Bybofunk: The message is to follow your dreams and never give up, no matter how you feel. You need to get up and work hard every day to fulfill your dreams. The listener can expect a 6-track album with a good variety of styles. You get a mixture of fat synth bass, jazzy chords and mellow strings. The end result is a mix that ranges between 80s Funk and Gfunk. Besides this you can recognize elements of New Jack Swing, clearly in the track "Superintelligence" with features such as specific chords mixed with 80s synth sounds. How did the collaboration with First Touch come to life? Bybofunk: I first heard of First Touch around 2004 when a friend showed their demo to me. It felt incredible that there is somebody that produces good modern Boogie and surprisingly comes from my neighbor city here in Germany. Over the years we got in contact and checked out each other’s tracks and shared them. Finally in 2015 we started to work on my debut album “Dream On” together which meant spending hours jamming. We had a lot of fun and I learned a lot. 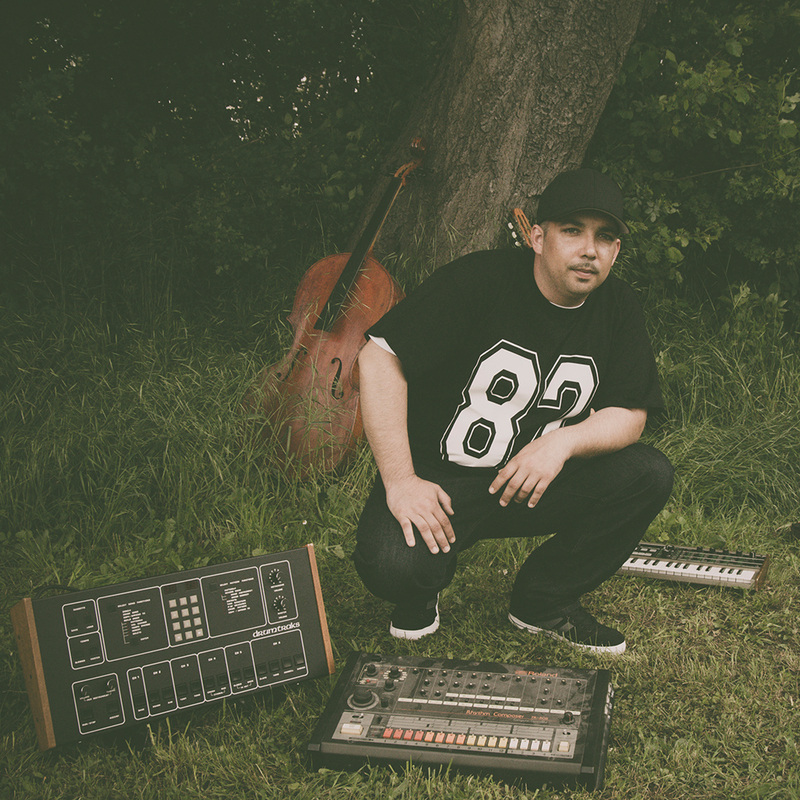 Bybofunk: There are multiple things in the pipeline: currently I am working on an instrumental EP characterized by a mix of modern Funk and Gfunk and it will soon be available for digital download. Besides this I am happy to announce that there will be a vinyl release on Omega Supreme Records which will represent a tighter collaboration between First Touch and me. This will be out in summer 2017. We have already been working on those modern Boogie tracks for a good while and I can promise your ears will like it. Keep it funky! Bybofunk´s album "Dream On" is available on vinyl and for digital download. Recently we see a increase in DJ Bookings, so we travel to multiple Cities and share our musical Goods. Lately we played a DJ Set at the legendary Roxy Club in Cologne for the Get Down Party Series. The Theme of the Party was "Nightcruise" so the entire Night was all about Dope Jams, Nonstop Grooves and Disco Dreaming. Together with the Locals Tom Kutsche and Funky Fresh Mike we celebrated a great Party. Besides listening to the DJ Mix you can check out some visual Impressions here. With Australia's finest producer Freekwency and vocalist Ale Chambers, this maxi single entitled Your Touch will define the future memories of summer 2016. It's all about 'touch' on the 10th release from Hot Shot Sounds, with remixes by Magic Touch and First Touch. The concept for the original song came to Freekwency while touring and being away from home. 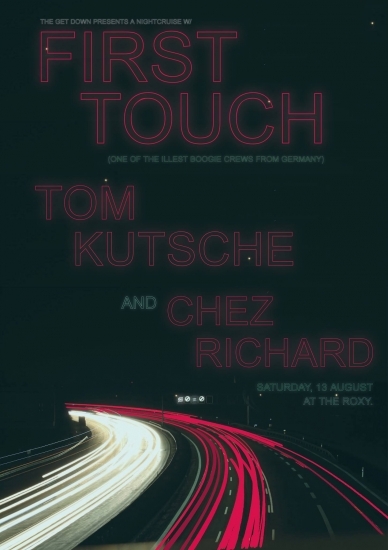 As a fan of First Touch it was intriguing for him to keep the 'touch' theme across remixes, so he reached out. We delivered a classy Boogie take that brings the song into a 'cocktail bar territory' as Freekwency describes it. The song is completed with the soulful vocals of Florida-based Ale Chambers, son of a musician who played in the Disco Group Ecstasy. Freekwency and Ale have collaborated before and we all hope they continue so. Distributed via Juno, the record will be available from August 1st at multiple stores including Newtone (Japan), Wax Museum (Australia), Piccadilly (UK), HHV (Germany) and others. Our good friends at Asphaltgold are living the dream. They've turned their hobby of collecting sneakers into a successful business. Over the years we've regularly played gigs at their parties. 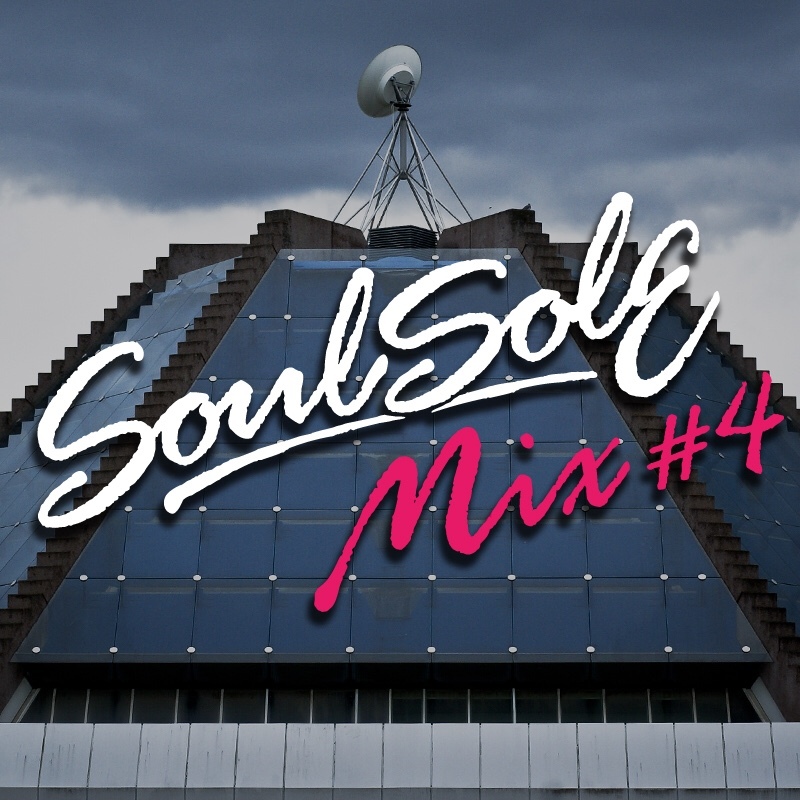 Now, they also publish mixes on their channels, and they have asked us to put together the fourth edition of their SoleSoul Mix-Series. Click here for the Blog Feature and make sure to check out their Webstore. Our website is live. Now, you can get 100% of First Touch music, insider news, gig dates, photos and so on. As a welcome present, in our Music section you will find the track Daycruising (DJ Friction Edit) for free download. Enjoy! We kick started the year with our releases on Born to Shine and Omega Supreme Records. And, shifted up a notch with diverse remixes, DJ mixes, new releases and a leading role in the upcoming Bybo LP co-production. Our monthly club night ,The Meltin’ Spot, in our home city, Mannheim, is growing in popularity. We are also seeing an increase in our bookings, so stay tuned for a show near you.